A very short blog post today, just to say Merry Christmas to you all. I hope you've had a great 2017, but regardless I wish you an even better 2018. 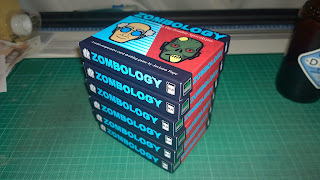 In the meantime, I hope you have a great week, get loads of gaming in, and just a quick reminder that I'm giving £5 to charity for every sale of Zombology this month - it's not too late to get a copy of Zombology and also choose which of the five charities I've selected gets the £5. 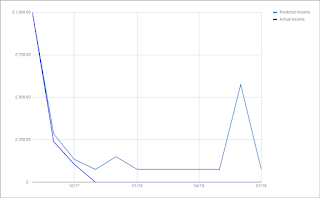 As I mentioned last week, FlickFleet has been pretty much static for a few months now. I've been playing it quite a lot and it's been getting great feedback, but I don't want to just throw it out the door as soon as people start enjoying it, I want to make it awesome. 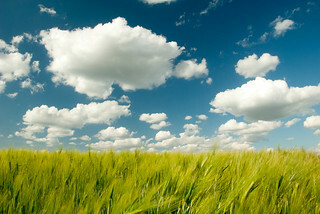 To do that requires trying out new ideas and keeping those that improve things, while discarding those that don't. The problem up until now has been what ideas to try. 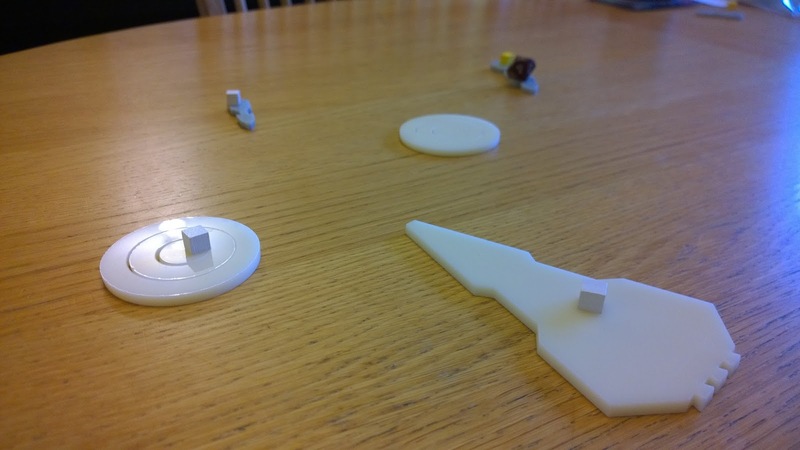 Usually in the early stages of designing a game it's so hideously broken that it's obvious what needs improving. With FlickFleet, it's been perfectly playable almost since the beginning and there's been nothing obviously wrong with it. 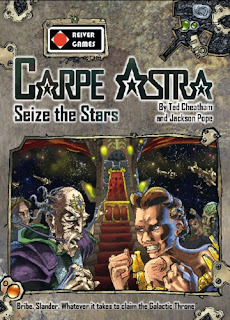 People have said 'It's great fun', 'I prefer it to X-Wing Miniatures' and 'I prefer it to Flick 'Em Up'. All of which is nice, but doesn't really help improve things. Can you spot the new stuff? I took it down to Paul's this weekend and I was keen to play it with Paul and see if he had any ideas. Paul's been instrumental in the original idea and several early improvements, so I was hoping to rely on him again for more inspiration. 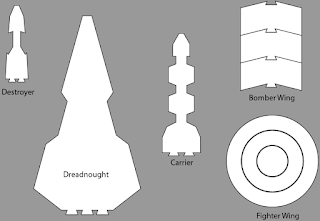 The turn order was a layer of complication, and led to things like Dreadnought-launched fighters often getting destroyed before they could act. The game turned into a bit of a grind when you were down to your last few ships as you battered away at each other without doing much damage. The destroyers were a bit boring as all they really did was move and shoot. Once a ship lost its Engineering location it potentially became a floating hulk quite quickly. Paul and I played a game with the existing rules, talked about a couple of ideas I'd had (free turn order with activation tokens, giving the destroyers shields) and then spent a good half an hour talking about some other options, before trying a new version. 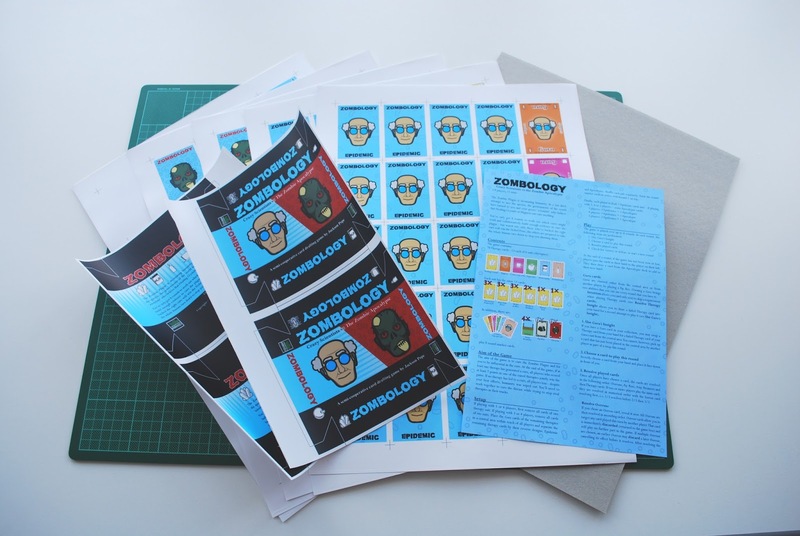 The new version was a lot more fun, so my task now is to get the new rules written up and order the bits to make a few more prototypes - one for Paul, a new one for me and a couple for some people who are interested in playtesting for me. 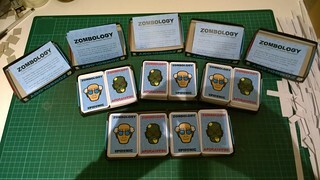 I also need to get some more Zombology sales. December has been very slow, despite my charity donation offer. What I need to do really is put aside some time to go and play it with people, as that has definitely been my best route to sales (whether among friends or strangers). Last week was a quiet one. After a busy and demanding week in Belgium the week before, I took some time to catch up on sleep (when I could - Daughter the Second is not sleeping well at the moment, so I spent a fair chunk of the week up in the night or early with her). 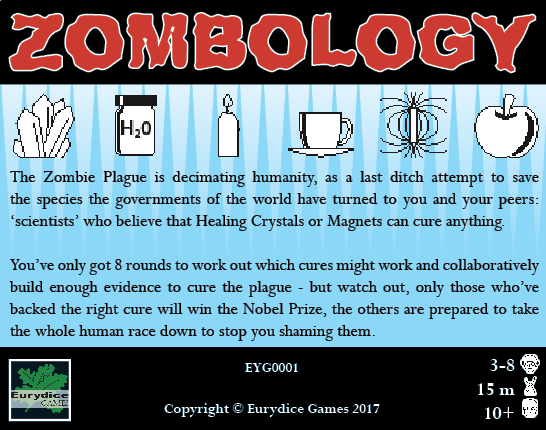 So I made no progress on Zombology until the weekend - there's no chance at all that I'll hit my quarterly production target, but there's still a good chance of hitting my sales target. The highlights of the week were FlickFleet related. 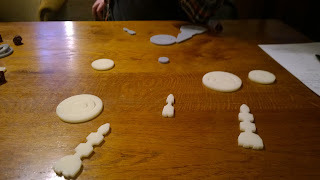 I made it along to Newcastle Playtest (for only the second time since the birth of Daughter the Second back in May) and we played four games of FlickFleet. 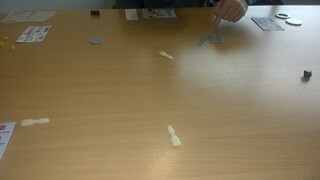 The feedback was good again ('better than Flick 'Em Up'!) and there was nothing glaringly wrong, but a couple of ideas surfaced and I started to try those out. 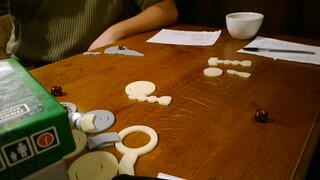 At the end of Games Night I got another play in using one of those and I think it could be an improvement. Since Thursday night's play at the end of Games Night I've finally had some inspiration for several more changes - I'm looking forward to trying those out shortly. I've also been collecting some market research via Google+ and twitter polls! 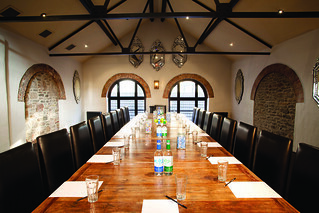 This week is also pretty busy (we've a big meeting at work with a couple of nights out including our office Christmas party), but I'm hoping to get some gaming in at the weekend when we head down to York to visit Paul and his family. 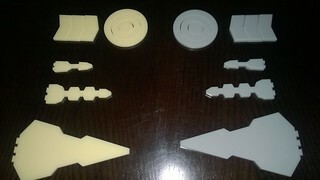 Paul was instrumental in the first idea of FlickFleet, so I'm hoping to show him the progress I've made too. My goal during NaGa DeMon this year, as with a couple of the previous years that I've taken part in, was to make concrete progress on a game idea, while benefitting from the wisdom of the crowd to help me consider things from a different angle. 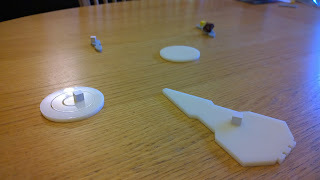 At the beginning of the month I had played FlickFleet a grand total of 7 times, but versions with wildly different levels of maturity and none with all the pieces I thought I needed to give a true reflection of the game in my head. 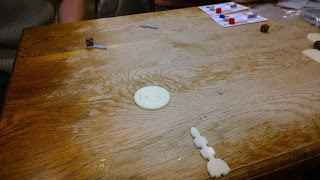 During the month of November I played it another 9 times, all with the components I wanted and all were very well received. 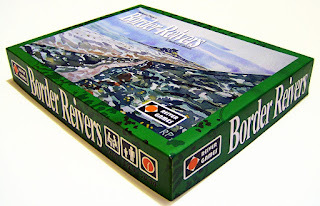 I got some great ideas on production, feedback on the rules (which I wrote up of the first time) and I even started designing the box. As with previous years the competition I ran started off very well with lots of interest and then things tailed off a bit in the second half of the month - I struggle to retain people's interest! 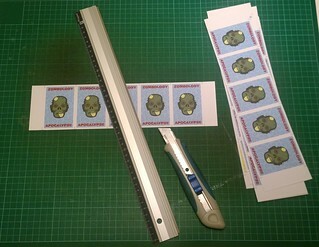 We did get one late entrant, Steve who gave me some great information about scroll saws and then further advice in a follow up email, but Todd carried it in the end. So Todd, I'll be reaching out shortly to get some contact details to arrange delivery of your prototype, which probably won't arrive until January I'm afraid. I've spent the last week (since Sunday afternoon) in Brussels for a work training course. I'm now finally on my way home. It's been a gruelling week, the course was excellent, but mentally and emotionally challenging and I've slept badly while I was away, so I'm shattered now. I had hoped to come back refreshed after a week without being woken in the night by a baby, but that was not to be. 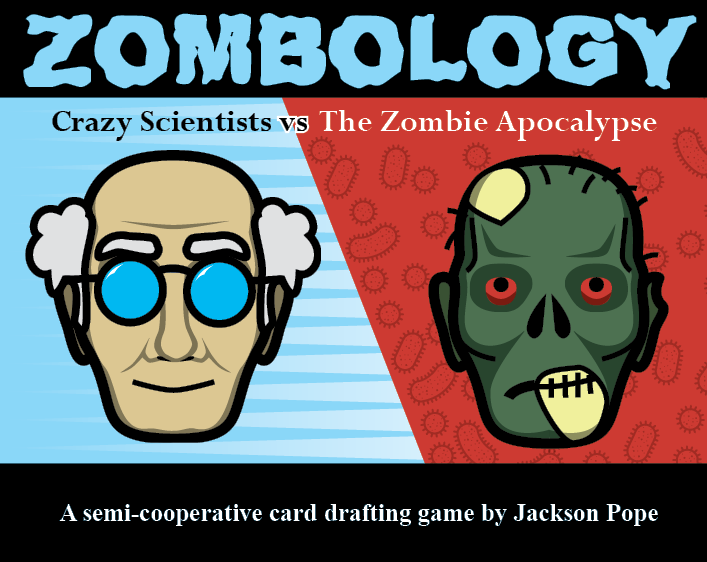 There is another way I am back too: after a month of NaGa DeMon (more on that in Monday's blog post) I'm now back to focusing on Zombology. In November I've put a lot of work into making progress on FlickFleet and I've learnt a lot and have made the first decent chunk of progress on it, but Zombology has suffered - I didn't quite meet my November production target and I put little effort into promoting it or making progress on the website and other things I need to do to drive people's awareness of it. I now need to swing back the other way and make decent progress on Zombology (while not completely abandoning FlickFleet). The first thing I've done in that regard is to announce a promotion on BGG where I give £5 to charity for the first 33 (the number of games I have in stock currently, plus the number I hope to make in December) copies of Zombology I sell during December. That £5 is more or less the profit I make per game, but will come from our personal funds, not Eurydice Games. 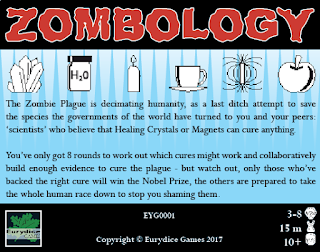 The Wife and I have chosen five charities we want to (and currently do) support to receive those donations, but the Zombology purchaser gets to pick which of the five they would like 'their' £5 to go to (from that list). 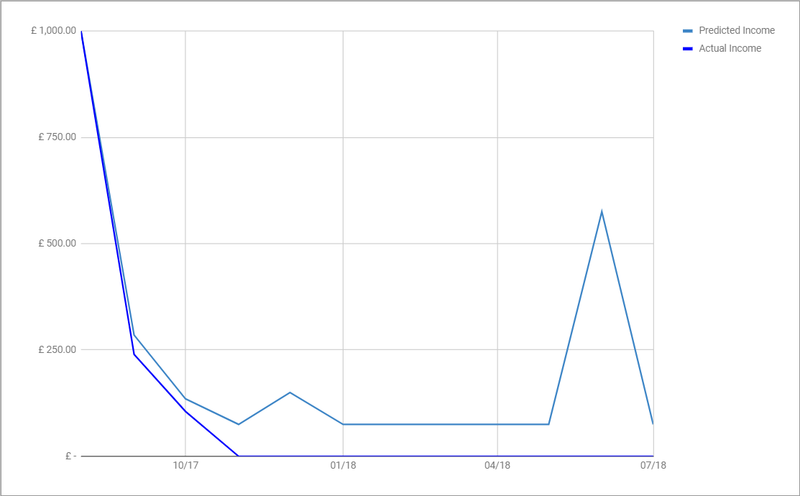 Hopefully it will achieve a triple goal of encouraging us to donate more to charity this month that we had planned, raise awareness of Eurydice Games, Zombology and the great work these charities do and also hopefully lead to a few extra sales. 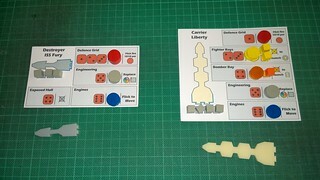 I have a couple of other ideas to work on too, including hopefully playing it at games clubs more this month. 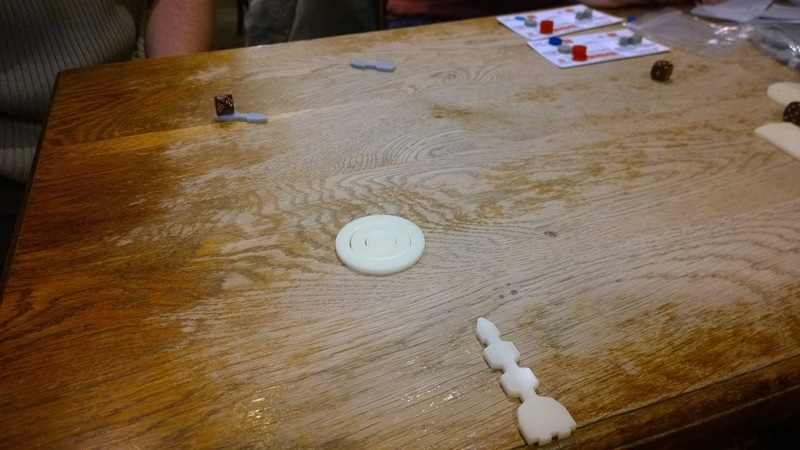 While in Belgium I managed to get to Outpost Gamecenter and play Zombology a couple of times (plus Between Two Cities and Vanuatu) with some lovely, welcoming Belgian gamers. The four who played it liked it enough to play twice, but not enough to buy it. 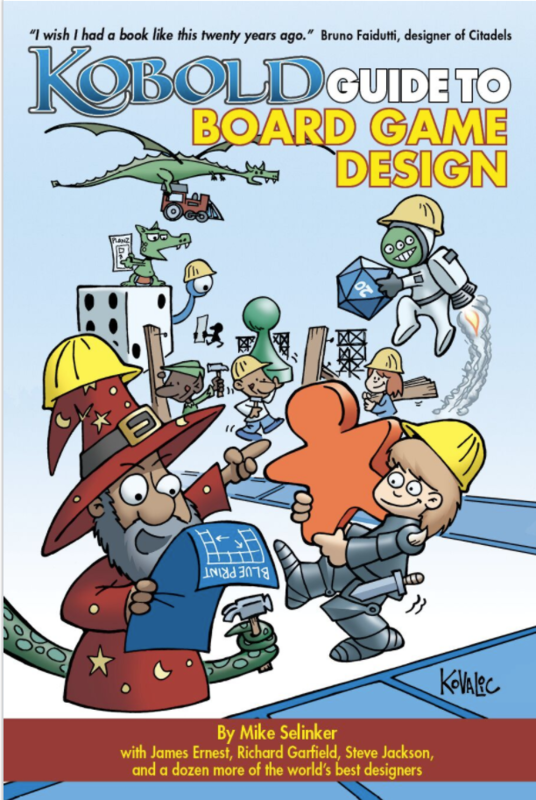 I'd mentioned to the people on my course that I was a board game designer too, and several people expressed an interest (the fools! 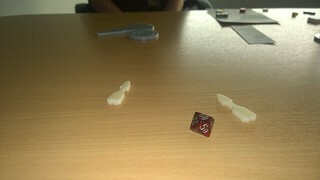 ), so I showed them the finished game. At which point several of them wanted to play it, so during a break on Thursday afternoon we played six games (with I think six different people many of whom played several or all six games). 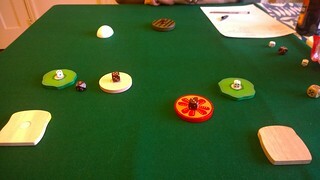 The game was well received and I sold three when we returned to the main room! A couple of the other attendees want me to send them some details via email too. It was a great week, but I'll be delighted to get home and now need to take some time to consolidate everything I've learnt this week.